What do Ethiopia, Senegal and Indonesia have in common? Any idea? OK, they are the top three countries that consider religion important, respectively at 98, 97 and 95 percent (compared to say, the United States at 53 percent and the lowest, China, at 3 percent). This was the finding of a PEW Global Attitudes survey in 2015, but I don’t imagine it would be much different in 2019. What this means is that in these countries, religion features in virtually all aspects of an adherent’s life. The spate of last year’s natural disasters – in Lombok in West Nusa Tenggara, Palu in Central Sulawesi and last, the Sunda Strait in December, brought no shortage of religious belief (superstition?) that these disasters were a punishment from God. It made me wonder, how do Muslims link religion with the environment in general? I got the answer to my question almost immediately (God must be a mind reader! ), in the form of an early morning lecture precisely on that topic at the mosque in my housing complex. It was given by Bambang Irawan, a lecturer from the Syarif Hidayatullah State Islamic University in Jakarta. Bambang is a moderate Muslim, also considered a spiritual motivator.Not surprising, as he’s a Sufi and an expert of tasawuf (the inner and esoteric dimension of Islam). What we see mostly on a daily basis is sharia, which is the outward and exoteric practice of Islam. up people’s mistakes/Be the land, in your humility/Be the sun, in your love and compassion/Be the mountain, when angry and emotional/Be the water, in helping others/Be the ocean, when with others /Be who you are, just as is”. I was immediately won over. He continued, in the tasawuf understanding, the universe is sacred, and in the eyes of God, humans and nature are the same. Thus humans should love and care for everything in nature. Even when conducting physical jihad (warfare), the prophet Mohammad said, “[…] don’t kill women, children, old men, damage places of worship and do not cut down trees”. Hah? Hardliners and terrorists must have missed this lesson, as they do all of the above, except the last. I mean, I have never read any headlines blaring “Terrorists cut down trees!” and people getting all shocked. In Indonesia illegal loggers tend to simply be poor people who cut down trees out of sheer economic need, not because they are religious terrorists. In Islam, humans are khalifah (caliph, leader) who should be clean, body and soul, and that caring and protecting the environment is the highest aim of sharia. Really? Did this get lost in translation somewhere? You could have fooled me, the way so many Muslims interpret sharia as a justification for discrimination, bigotry and violence. Bambang also cited Hossein Nasr, an Iranian professor emeritus of Islamic studies from his book Religion and the Order of Nature : “The Earth is bleeding from wounds inflicted upon it by a humanity no longer in harmony with heaven and therefore in constant strife with the terrestrial environment”. In more prosaic terms, Nasr is referring to human greed that leads to overexploitation and degradation of the environment. Oh, and don’t forget plastic pollution pak Bambang. In short, Bambang’s lecture was music to my ears. It was the sort of thing that mosque lectures should always be about, instead of judging and condemning others, and even inciting hatred as is too often the case. But beautiful words are not enough. What are these Indonesian Sufi Muslims actually doing in real terms for the environment? It turns out, quite a lot. For example, Indonesia has ecopesantren. 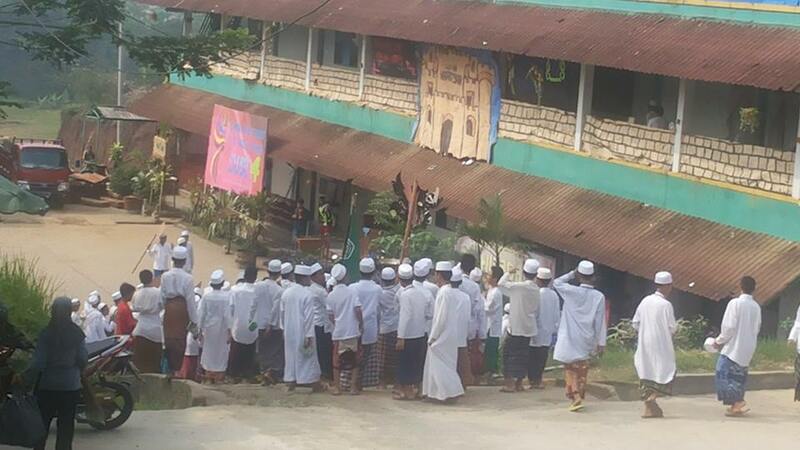 Pesantren are Islamic boarding schools that are the basic learning centers of Islam. As it turns out, pesantren have been teaching students about the Islamic obligation to protect the natural environment since the 1950s. Fachruddin Mangunjaya, a leader at the NGO Climate Reality, who lectures at National University, wrote in his book on ecopesantren about how the movement for conservation can start there and spread to the wider community. Haramain pesantren in West Nusa Tenggara. According to Fachruddin, there are approximately 20 ecopesantren. Some of them have even received the prestigious environmental Kalpataru Award, such as Pondok Pesantren Pabelan in Magelang, Central Java. Do you want to take a tour of a ecopesantren? Go to Daruut Tauhid near Bandung, capital of West Java (wakafdt.org/mengenal-lebih-dekat-eco-pesantren-dt/). Anna M. Gade, a professor from the University of Chicago’s Divinity School also conducted research on the eco-Islamic movement on Java. 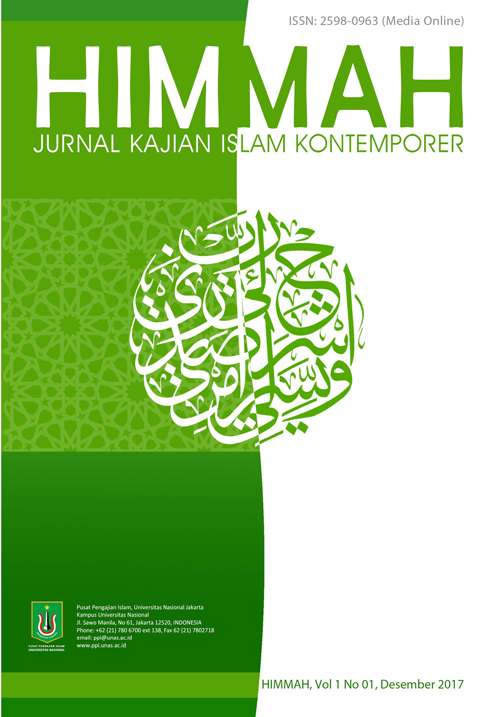 “From popular children’s comic book heroes fighting environmental degradation, to mosques with built-in recycled water filtration systems for worshipers performing wudu (ablution), one cannot separate environmental consciousness from mainstream Indonesian Islamic culture”. She observes that Javanese imams encourage both Muslims and non-Muslims to pursue greater environmental awareness, and observe the role of humans as “stewards of the earth”. Taking care of the planet “brings a person closer to oneness with God, thus spiritually cleansing oneself and the outer environment as well. In that sense, Muslims have always been natural conservationists”. This simply means, we reap what we sow. If we don’t take care of our bodies, we will get sick. In the same way, if we don’t take care of the environment, polluting and destroying it, guess what happens? “Every worm, every insect, every animal is working for the ecologicalwell-being of the planet. Only we humans, who claim to be the most intelligent species here, are not doing that”. This is a quote from Sadhguru (aka Jaggi Vasudev), an Indian yogi and mystic involved in among other things, environmentalism. Environmental issues are amongst the most crucial facing mankind at the moment. So Muslim or not, do you really want to be worse than a worm?